Welmax AS of Norway developed this process. 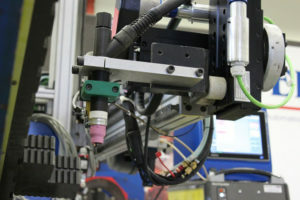 We have combined the variations of TIG processes in one system. We made a welding controller that provides the best qualities of the TIG process where it is suited; we are able to modify the arc from pulse to pulse, creating the best possible result in any position or situation. 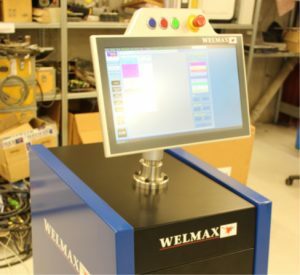 Welmax AS has previously developed groundbreaking processes like Plasma Key hole closing and ICE for ESAB AB, including pulse NG Hot Wire TIG that is used in production across the globe. DP-TIG is a combination of TIG, Hot Wire TIG and K-TIG in one single system. Hot Wire TIG process; this is a TIG process where we add a current to the welding wire increasing the amount of wire that can be deposited. Key hole TIG process; this process focuses the current with the help of a larger dimensioned tungsten electrode while controlling the arc voltage resulting in a keyhole. 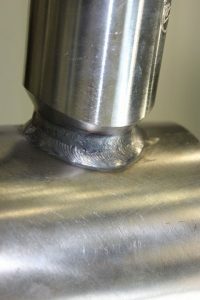 In combination with Hot Wire TIG and pulse technique it is possible to push up to 65% of the consumables to deposit in the root of the weld. This makes the Keyhole process the perfect method for welding a root pass. 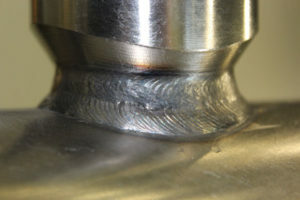 Pulse TIG process; this processes uses a high amperage for a short period of time to melt the backside of the groove, then reducing the wire speed and current by about 50 ampere, this cools the weld pool and assures a positive and wide seam on the backside of the groove. Gas: Argon standard welding quality; 99.99%. 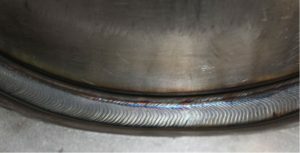 This process is the combination of all TIG processes with only one piece of process equipment, using the same welding head for it all. By itself this is revolutionary! 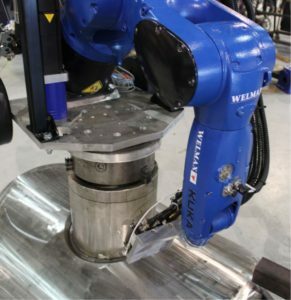 In theory the welding process is the same, but by modifying the welding arcs characteristics electronically and parametrically we are changing the process. We do this to get the needed arc pulse penetration on the root pass, a wider arc and Hot Wire on the filler passes to increase the deposited volume, all this without having to change any components. Done this way we can declare the process the absolute fastest and safest of all welding processes, with the exception of when there are extremely large volumes to fill. – Titan, carbon steel, stainless steel and all other weld able materials. – Thickness from 1 mm up to 80 mm. 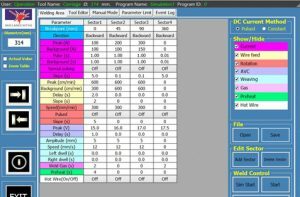 – Joint preparations in vertical or horizontal positions: I, Half V, U, V and NG. Half v bevel: 2 – 4 mm edge thickness, minimum 37 degree angle. V bevel: 2 – 6 mm edge thickness, minimum 30 degree angle. U bevel: 2 – 6 mm edge thickness, minimum 5 degree angle. It’s difficult to give a definitive answer as each joint prep type has its own positives and negatives. But if we consider logistics, then using the same joint preparation on all work pieces would be beneficial. If that is the case then NG (Narrow Gap) prep can be recommended as this is the fastest type to weld on all thicknesses above 10 mm. Below 10 mm thickness it’s the I and half-V preps that gives the best speed. If you are welding together pre-bended pipes, these are usually delivered with a V joint prep, eliminating the joint preparation time altogether. Each individual process mentioned here are processes that are used in production daily in several facilities, with qualified welding procedures on materials like; 316, Duplex, Super Duplex, Titan and Carbon steel. KPT in Verdal (Norway), Aibel in Haugesund (Norway), RPT in Stavanger (Norway), Midsund Bruk in Midsund (Norway). 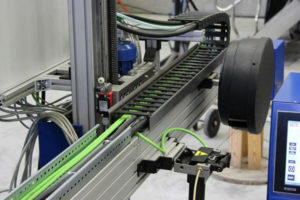 But only Midsund Bruk and RPT are able to utilize the benefit of combining these processes in one system, as they are the only ones with our new controller and weld head. Duplex pipe Ø 323 mm, with 30 degree V prep, with 1,5 to 3 mm edge thickness after the root seam is welded; about 5 mm of the groove has been filled. Super Duplex pipe Ø 254 mm, with 30 degree V prep, with 1.5 to 3 mm edge thickness after the root seam is welded; about 6 mm of the groove has been filled. High weld quality. Minimal amount of weld defects; less than 0,5%. Up to 40 times faster. No gap between grooves results in twice as fast coupling of pipes. Standard joint preparations on bends, no preparation needed.